Q. CMGP, CDS, Aber and Dinorwic are all making losses, do you have any strategy to turn them profitable? A. Yes. Aberystwyth (KPI-occupancy). 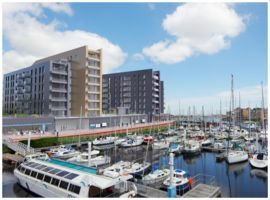 With the completion of significant capital expenditure (£650'000) now completed occupancy is increasing by 15% per year. It is now making a net profit. Port Dinorwic (KPI occupancy and service productivity). Is highly profitable. 2017 accounts are for 5 months only and include exceptional acquisition costs. CDS / CMGP - (KPI Productivity) - is now just moving into profit after a difficult 24 months. New manager has secured major new contracts and new engineers. Q. I see that you managed to reduce your debtors around 25% from 2016 to 2017 but still represent a large amount compare to total turnover, is there a plan to reduce this further? A. The debtor balance is relatively high as it includes amounts owed by Bayscape Ltd a sister company of The Marine & Property Group Ltd. These are non trading balances and relate to items such as land transfers at market value. Q. Are you details account for 2017 available anywhere? How are the 2018 figures so far? We do not, as you would expect, publish monthly management accounts but I can advise that in the six months to June 2018, the results are as follows. Turnover £2.4m (annualised £4.4m), gross profit £1.5m (£3.0m), EBITDA £1.1m (£2.2m) and net profit £670'000 (£1.3m). This growth is consistent with plan. Q. 3Qs: What have the £977,621 profits for 2017 been used for, and why do you need to borrow? Have both directors given a personal guarentee? And has the first loan been repaid in full? 1/ The Group has paid down £1'030'000 in capital in the period and net debt is now 26.2% on a LTV basis. The net asset position is now £21 million. Profits have thus been used to reduce debt. 2/ Both directors have provided a guarantee and we are comfortable about so doing. 3/ Previous loans with Crowd2Fund were used for other acquisitions and transactions. These are part repaid per terms and all have been impeccable serviced. Q. Is this the same company with outstanding loans here under the name Cardiff Marine Services? A. 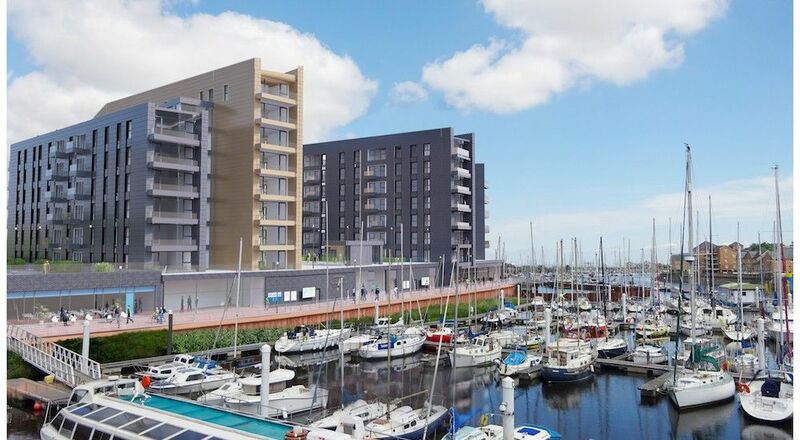 The Marine & Property Group Ltd is the holding company of six subsidiary companies including Cardiff Marine Services Ltd (CMS). More information on the group (including consolidated Accounts and downloads) can be found at: http://themarinegroup.co.uk/about-us/ . The loans to CMS were for the purpose of other acquisitions and capital projects and have a perfect service track record and have been running for some time.